On Monday, January 28, a new exhibit opened in the Connie A. Eastburn Gallery on campus. Narrative Expressions by Herbert Mandel tells stories of the Bible through a collection of paintings. Herbert Mandel (1926–2016) was once told that the Bible provides enough content for a lifetime of artwork, and he took that idea seriously. Over the course of his career, Mandel painted scenes from the Old and New Testaments, developing an imaginative and expressive look into the world of the Bible. Moses guides the Israelites across the Red Sea as the waters split. A walk through the Narrative Expressions exhibit invites the viewer to engage with biblical events. The men and women of the Bible are no longer faceless characters on black and white pages; one sees the relief of Jonah as he emerges from the great fish or the fierce courage of Moses as he guides the frightened Israelites through the splitting of the Red Sea. The various portrayals of Jesus—looking satisfactorily upon a joyful gathering, teaching his followers on the countryside, or feeling the pain of being nailed to the cross—bring the events of His life to the forefront of the viewer’s imagination. Narrative Expressions goes beyond the telling of a story; It transports the viewer into the story. Hosting Herbert Mandel’s Narrative Expressions is one example of the University Arts Initiative integrating the creative arts into the student experience. Students will pass Mandel’s collection on their way to class, and should they take the time to examine it, they will find it a moving, imaginative aid in their study of the Bible. Jonah emerges from the great fish unscathed. Narrative Expressions is on display in the Connie A. Eastburn Gallery now through May 10. Gallery Hours are Monday–Saturday from 8:30 am–4:30 pm. 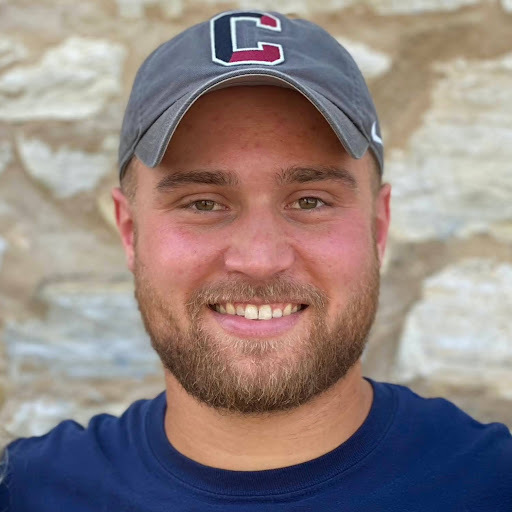 Juston Wolgemuth is a communications intern in the Communications & Marketing department at Cairn University. He can be reached at jw573@cairn.edu. Dr. Mark Hall Leads Lecture and Q&A on His New Book, Did America Have a Christian Founding?